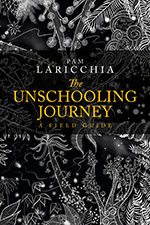 We are in the world of unschooling now, finding our way. We have removed our conventional filter—well, at least the first layer—and are open to learning. 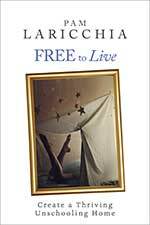 On this road we will confront our conventional beliefs about learning and living and dig into many of our existing assumptions, often handed to us in childhood, questioning how well they mesh with our own experiences, and watching it unfolding with our own children. 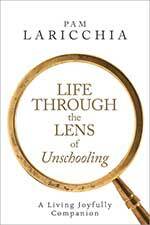 So many questions bubble up now that we’re looking at life through this new lens of unschooling. Each represents another trial. Some will be relatively easy to work through, while others may take great energy to process, leading us to more and more questions. That path is unique to each of us, depending on the messages we received growing up and our experiences in the world so far. And as we address them, one by one by one, our understanding of unschooling grows. My blog is essentially a window onto my road of trials. For example, there were so many things to ponder about learning. One was the fear of leaving curriculum behind. By really digging into it, I came to better understand unschooling’s less predictable, but richer, curiosity-driven path of learning—“even if” at some time A they hadn’t (yet) learned B. My perspective broadened beyond childhood. As I gained more and more experience with seeing the learning in all their activities and seeing the learning in the quiet moments in between, I came to see how unschooling doesn’t look like school at all. And from there, my perspective grew from childhood learning, focused on gaining “a fixed set of knowledge by a certain age,” to lifelong learning. I examined many questions in the realm of parenting, including the power paradigm of adults versus children, discipline, the meaning of “fair,” what it means to “spoil” a child, developing character, and ways to consider everyone’s needs as we lived together day-to-day. Then there was my growing understanding of the importance of learning about themselves. What makes them tick. How they like to learn. Seeing them as separate and unique individuals and pondering how my beliefs about the world may not be theirs. And how I might approach times when we see things differently. 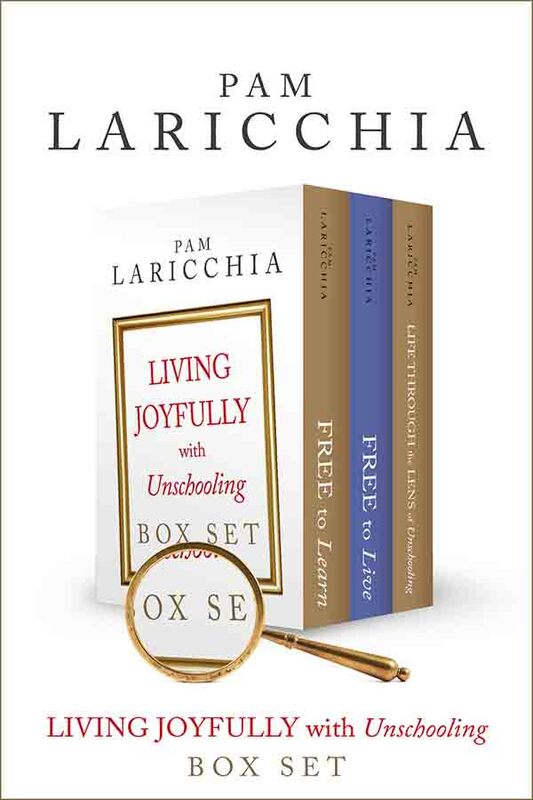 Not only was I learning about the environment I wanted to create for my children to grow up in, this new lens of unschooling was also changing my perspective on my own life, like my definition of success and the search for meaningful work. And I pondered ways I could excavate my own curiosity. I also asked myself, how is it that experienced unschooling families get along so well? Some questions that crop up are expected, some are surprising, and we do the work to move through them. Sometimes we’re thoroughly energized, other times we’re so exhausted that we’re almost brought to tears, wondering where we’ll find the strength to take another step. Breathe. Water. Sleep. And it really helped me to remember to keep the focus on my children—my guides. How are they doing? Another tip for the road: remember to take note of those moments with your children where you see them—and unschooling—shining brilliantly. In scribbled words before bed, or quick photos of the moment, or vivid memories etched into your brain. These snapshots will help you build trust in the process, and can be a welcome ray of light during the more challenging trials. On the deschooling road we discover things about ourselves we didn’t before imagine—the depth of our strength, of our love, and what we can learn when we say “hi” to our fears, rather than running from them. Racing down the road risks skimming the surface, short-changing this transformative process, which needs to take place in the roots of our being. Beyond what we are doing, into why we are choosing to do those things. Working through our trials we are rewarded with new philosophical insights into learning and living, and as a result, we often want to change some of our behaviours and actions/reactions to better support our children and our unschooling lifestyle. Sometimes it’s pretty easy. But sometimes even when we know we want to act differently, habit takes over and we can find ourselves playing out the same conventional scene over and over. Change can definitely be hard. But rather than beating yourself up about it, keep trying. Try to mindfully take a beat between action and reaction. Find yourself a moment of choice where once there was only thoughtless habit. Without the pressure of a school schedule, there is time. Things don’t have to move so fast. Be more proactive. Act first. Ask your children if they’d like to play a game with you, rather than waiting for them to ask, maybe at an inopportune time. There will be uncomfortable times. If there’s no clear path, learn to live with the discomfort for a while. New insights and ideas can bubble up, but only if you’re patient and open to them, not closed up and trying desperately escape the discomfort. And remember, no matter how long you’ve been unschooling, as your children get older you will encounter new situations which you haven’t yet worked through (at least not beyond the conventional response). We are always learning and growing. Living. We’re deep into our journey now! 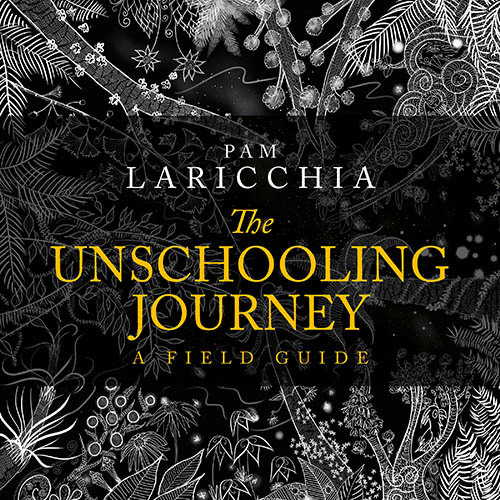 As we continue through the initiation phase over the next few weeks, we’ll gather up what we’ve learned so far and pull it up into the bigger picture, ones that speak to the person we choose to be, sometimes seen as the more spiritual aspect of the unschooling journey. 1. Which conventional ideas were you quickly able to move through on your deschooling road of trials? 2. Which ones did you find more challenging? 3. Were you tempted to rush through the process? If so, did that make it harder for you to deeply trust the process of unschooling? 4. Did you find some habits were hard to change? Call to adventure: We discover unschooling and excitedly imagine the possibilities. 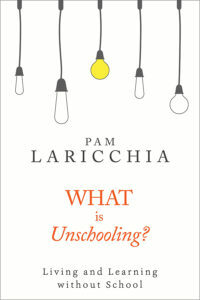 Refusal of the call: The many implications of choosing unschooling hit. Do we commit? 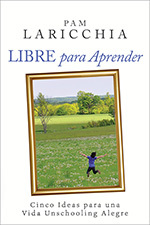 Supernatural aid: Our children guide us on our unschooling journey. 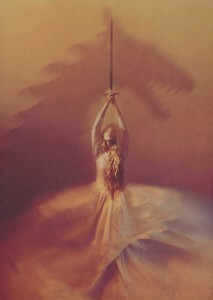 Crossing of the first threshold: Confronting the guardians who claim to protect us. The belly of the whale: Transitioning to a learning mindset. Letting go of the curriculum has been a wonderful thing for me this year. Im always trying to plan or come up with something and I have found Im just to tired. We also never had time in my mind to really explore what they loved or was interested in. I wanted to but it didnt quite fit into the curriculum I had worked so hard on which was suppose to be super fun. Which they never found to be as fun as I had hoped. So that has been a wonderful thing to say good by to!!! Im still working on the learning to reading process I have read your articles and that has helped alot. But it still is a work in progress. Rushing through feeling impatient has been a challenge of mine : ) I wanted to understand everything yesterday. So it was easy to get discouraged and figure some how I was doing it all wrong and my children would be ruined for life so unto the next method. Now I am so tired, read so many books on homeschooling and it feels my heart is finally coming home to how I had envisioned our learning experience to be when I first started this journey. Jane, I’ve loved reading your comments. Thanks again for sharing these snippets of your journey. I totally get wanting to understand everything yesterday! Patience for ourselves can be a challenge, though crucial so you have the time and space to make connections between what you’re reading about unschooling and what you’re seeing with your own children i.e. your own real learning. I love that you’re feeling like your heart is finally coming home and things are starting to settle. And the realization you’re actually having fun doing things they enjoy. Wonderful insights! Maybe it seems “lazy” not to be doing all that planning? It’s totally not. Instead, you’re using that energy to support what’s going on with your children today. My state requires standardized testing in 3rd, 5th, and 8th grade, and while I think these tests are a pointless waste of time that don’t show what a child truly knows, I still find myself wanting my kids to do well on them. Unfortunately, this leads to me getting them test prep books that we work through everyday for a month or two before the test. So, on the one hand, I’m telling my children not to worry because these tests don’t mean anything, and on the other hand, I’m sweating bullets about how they’re going to do. I’m also currently working through Teach Your Child to Read in 100 Easy Lessons, which I know is very non-unschooly. It’s not that I don’t trust the process; I’ve seen it work with two of my other kids. But when your six year old cries his little heart out because he can’t read yet, it kind of pushes the boundaries a bit. That’s an interesting discord between thinking the standardized tests don’t measure what a child really knows about the world and insisting they work through test prep books so they do well. It’s a good clue that you’ve got some more deschooling to do in that area. 😉 Maybe ask yourself why you’re clinging to the results of a conventional evaluation of their skills, when you see them in action every day. I remember when my youngest was wishing he could read. It seemed his cousin in school could read. We talked about it in bits and pieces. I pointed out how yes, his cousin could read, but when we played Monopoly together, did he notice that he was a lot faster figuring out the numbers? That we learn different skills at different speeds, some faster, some slower—our brains are different. That’s important to mention because you don’t want to set him to think that he can learn to read *now* if only he tries hard enough—that can set him up to feel like he’s failed if it doesn’t come quickly. We made up word games. I asked him what words he’d like to be able to read and I wrote them on post-it notes. We played them like flash cards. We arranged them into funny sentences. I mentioned even I was learning new words, and I made a point of mentioning it when I stumbled on a word (the Harry Potter books were great for that!). I saw you commented on my post about learning to read through unschooling a couple of months ago. Maybe if you read it again now you’ll get something new? I found that when I was deschooling—something new would click when I revisited things every few months because I was coming at it from a new perspective. You’re so right about the difference between my thoughts on testing vs. my actions regarding it. I think my problem stems from my own school experience. I was one of those gifted/AP kids who always did well in school, so maybe I’m feeling pressured (self-induced, of course!) to have kids like I was. As for Luke’s reading curriculum, after only 6 lessons, I’m already feeling like he’s had his fill. I think I’ll just let him know that we have it if he wants to do it, and then just wait for him to take the lead. I should probably do that with the test prep books, as well. That’s a little more difficult for me because I’m still feeling like I want them to have some inkling as to what the format is like. Maybe I’ll just tell them to use it if they are nervous and want to prepare. Thanks again for a voice of reason! And I hear ya, I too did very well in school and university. Maybe you’re still defining yourself through the conventional lens of “good grades,” and sometimes you’re seeing your kids through it as well? I get it, that’s a hard filter to shake! But you’re with your children all the time. You see them shine as they dive into their interests and passions. You know they’re wonderful kids who are learning all the time. Rather than pushing for a grade as “proof,” try remembering those moments instead. We started our unschooling journey at the end of last year when my daughter was in 7th grade. She’d been doing cyber school through our school district from Sept. thru March, and she’d been very stressed out all those months because the cyber school was actually quite tough (even my husband and I thought so!) so in March we pulled her out of traditional school with the idea of unschooling her. 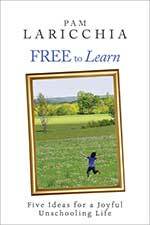 I knew I didn’t want to try and homeschool her (I know myself too well and I knew that would not work for “me”), but I was very intrigued by the idea of unschooling. We “deschooled” her for the rest of last school year, and over the summer of course, but as this current school year approached we still felt the need to give her some guidelines to work with. We feared if we didn’t she would spend almost 100% of her time playing video games or watching You Tube videos, 2 things she loves to do. So we told her she would have to put in 4 hours per day where she was doing “school type stuff” (ha ha, I know, I know!) We’ve had her using Kahn Academy this year for math. She HATES math, so we let her start over from the beginning, and she’s currently gotten up to 4th grade math level. In the beginning of the year I told her she had to write papers, on any subject she chose, the only guideline I gave her was that it had to be at least one full page. We also told her she had to always be reading something, her choice of material. That was our “plan” for her. This is how the year has been shaping up for us. She continues to do the math (my husband and I can’t let go of the old ideas about learning math because “what if she wants to go to college, she’ll need to know MATH! !”) As for the writing assignments, she did about a dozen of them then we let that slide. She’s spent much of the year teaching herself Japanese. She loves anime and manga, and she’s been reading series of manga books and watching anime shows. We recently started watching the TV show How the States Got Their Shape (teaches history and geography in a highly entertaining way, we both love that show!) She’s done some cooking, a little bit of drawing, learning to skateboard when the weather permits, and she recently joined our local recreation center because she wants to develop her upper body strength and just generally get fit. I’ve been thinking lately we really do need to let go of the rules we still have set up for her, but I still fear she won’t be learning what she “needs” for possibly going to college. How can I get past this? I think it must be a different experience for parents who start this so late in the journey. I have a son who’s a senior in HS this year so we have college on our mind big time. Any words of wisdom for me, or any of your articles you can point me to? From what you wrote, one thing I’d like to point is how you phrased “We deschooled her for the rest of last school year.” Were you do deschooling alongside her? It’s actually the parents that are most in need of deschooling because we’ve been immersed in the conventional school paradigm longer. 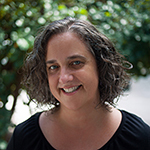 It may help to read through my deschooling page and links from the perspective of your own deschooling. I can definitely see some of your deschooling in action, as you’ve seen the more unconventional learning she’s doing through her love for anime and manga. That’s cool! And the ways she’s expanding her world, exploring different things from cooking, to drawing, to skateboarding etc. A related idea to contemplate is learning something now “just in case” they need it in the future. This has a couple of drawbacks. First, if they aren’t interested in the topic, it’s likely they won’t remember much of it months or years later and they’ll need to relearn it anyway. And second, they are spending time now that could be better spent doing things they are interested in. In The Fear of Leaving Curriculum Behind I actually talk about math as an example. And, even more on the nose, here’s something I wrote in response to the typical question, what about college? Yay! I’m glad they helped, Diane. I love the onion image—so many layers to peel!